Games Night at Johnsonville Library! Join us for a Games Night at Johnsonville Library this Friday 25th May at 5pm. 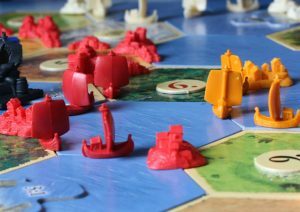 We have a range of board games to choose from including popular classics like Settler of Catan, Risk or Trivial Pursuit and less common games like Starfluxx, Munchkin or King of Tokyo. Most games are for ages 8+ though we have a few games for younger children too. You could also bring a game of your own to play with new people. Games Night starts at 5pm but you are welcome to arrive late, you might just need to wait a little before you can join in the next round.